Beautiful soul melodies, great songwriting: Joy Denelane is Berlin's new obsession. The U1 line connects the Berlin’s western and eastern districts and is one of the oldest public transportation lines in Europe. It is symbolic of Berlin’s modern identity, with its little yellow wagons dashing above the streets of the Kreuzberg district. It was on one of these trains that Joy Denalane performed a guerilla gig, armed with just one guitarist, celebrating the release of her new album. It was an apt showcase, as the train passed over the Kreuzberg district where she grew up, stopping at the station Gleisdreieck, from where the title of her new album derides. At the time of writing, it’s hard to escape the soul singer’s presence on the streets of Berlin. Nicknamed ‘die Soul-Stimme des Landes’ (the soul of the country), placards are adorned on any empty space, and streams of written columns are dedicated to her work. The daughter of a German mother and South African father, Denalane sings in English, German and the South African dialects of Xhosa and Shangan. Think of a seasoned Janelle Monáe, albeit German with an unconventional style that borrows from the likes of Erykah Badu through to South African jazz greats. 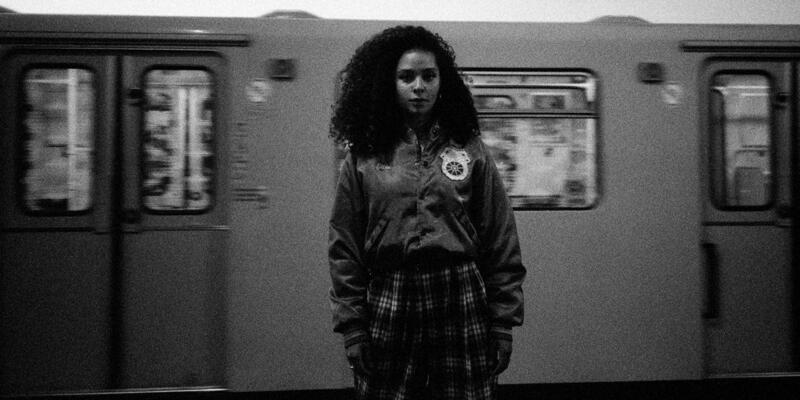 Denalane first cut her teeth in doing backing vocals on hip-hop tracks, before her much-lauded debut LP Mamani – an LP that was at the forefront of a growing ‘German soul’ scene. In 2016, Denalane released Born & Raised, a stunning neo-soul, English language album, recorded in Philadelphia, which began to turn the heads of artists from across the world. This became a real crux of what set the soul singer apart from the rest of the German scene. While Denalane was winning the hearts and minds, she was simultaneously teaming up with such acclaimed international jazz and hip-hop greats such as Bilal, Lupe Fiasco, and Common. A true modern soul act of our time, yet one that perhaps is not getting the kudos she deserves. After a few years out, in which she took up Egyptology and other such studies at University, Denalane returned with Gleisdreieck, a prominent return to her German roots. The album is a step away from the new-soul peerage, honouring more the German pop-sensibilities with a mixture of chart music, and good-tempered songwriting, with Southern hip-hop influences and even some dubstep. Gleisdreieck – the station – sits on the border between Berlin’s Kreuzberg and Schöneberg districts, where the train lines intersect with each other. The album reflects this division, reflecting on the changing nature of our times. “It’s the place where I grew up,” Denalane states in an interview with Intro, “where we lived, there was a colourful mixture of people and many children. A very heterogeneous group, that came together outside. Things are different today.” But even in these complex times, there are moments of light – such as with the LP’s lead, joyous single, ‘Alles Leuchtet’ – a pomp, and beautiful soul melody, which means ‘everything shines.’ And with Denalane, everything is always shining.